Tolkien fans are sure to treasure this tale of Middle-earth's First Age, which appeared in incomplete forms in the posthumously published The Silmarillion and Unfinished Tales. 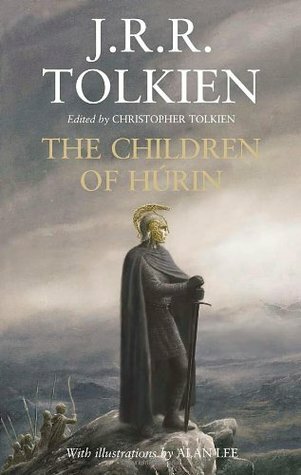 Those earlier books, also edited by Tolkien's son, Christopher, only hinted at the depth and power of the tragic story of Túrin and Niënor, the children of Húrin, the lord of Dor-lómin, who achieved renown for having confronted Morgoth, who was the master of Sauron, the manifestation of evil in the Lord of the Rings. Six thousand years before the One Ring is destroyed, Middle-earth lies under the shadow of the Dark Lord Morgoth. The greatest warriors among elves and men have perished, and all is in darkness and despair. But a deadly new leader rises, Túrin, son of Húrin, and with his grim band of outlaws begins to turn the tide in the war for Middle-earth -- awaiting the day he confronts his destiny and the deadly curse laid upon him.